Current state of September tour. Coming September 2014, on Edinburgh based label Song, By Toad. After meeting at SXSW in 2011 Juice and David kept in contact about possibly working together. But getting together at the same time is difficult for artists who are busy with their own projects, particularly if one is based in the Far East. Finally in 2013, during a couple of short trips back, David gathered the group in his home town of Otley to spend a few hours recording. The album spans the hymnal to human beatbox, discord to angelic harmony, with lyrical themes displaying the weaknesses of men, via rural imagery and sombre love songs, to the decline of northern industry and pub brawls. David had some basic ideas; Juice had no idea what they would be faced with. After some short discussion and a little practise the part-improvised tracks were recorded by Phil Snell at LIMBO studios in Otley. All parts were recorded live in one take and kept sparse, underpinned by David’s gentle and often imprecise guitar playing as the accompaniment to four voices. I will be back in the West with my countrymen soon, I will open three shows for Beth Orton. Shall dazzle the pants of adoring fanatics, at shows in Glasgow, Manchester and London. A couple of shows are dotted around in the bright summer month of July. Stoney Stratford, and the Vortex of London, and some weeks then of biding my time. Resting perhaps in the warm haze of summer – assuming that nothing arises. To assume the stage at the End of the Road, and all that that visit comprises. The September resumption of shows ’round the country, starts with the Waiting Room. In cozy surroundings, in Eaglescliffe village, before travelling up to the Toon. South Yorkshire beckons, and a visit to old friends in the undulating city of steel. After a visit to Leicester, there’s York and Auld Reekie, towns of ancient appeal. Liverpool, Manchester, cross country East Anglia, then on to the dreaming spires. Through Bristol, Exeter, Truro and Leeds, to the Kings Place in London retires. These shows in September, I’m performing with Juice, for an album we’re touting around. To be certain of tickets and whether I’m being honest, details elsewhere can be found. The Complete Guide to Insufficiency is 10 Years Old. Official Statement. I know I should pay more attention to all the little things that pepper a modern life. I’m suitably peppered as it is. I am seasoned with living in Seoul. and with having some records coming out this year, and with doing some busying of myself during the daytime as well, a-busying myself with non-musical shapes. I am learning about aviculture of the East. Wishing a good new year to all, hopefully we can get things moving here…so, during 2013 we found out that there’s no hope for the climate, unless by some miraculous stroke we are whisked away by the spirit of Malthus and invent some effects reversing technology, and artificial food generator and distribution system, and eradicate all waste. In much more superficial news you will have heard of the outputs I had last year. 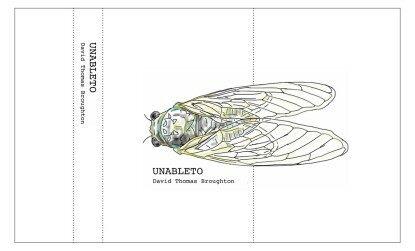 The demo recording ‘Unableto‘ was given a proper release, on cassette. 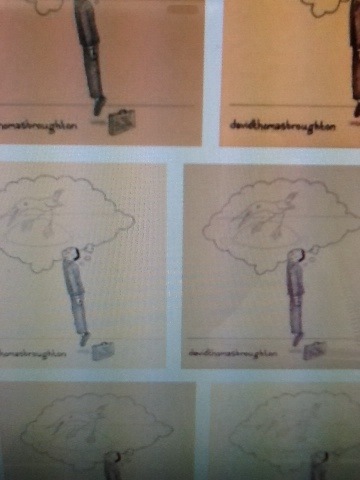 I toured in the UK with Rachael Dadd and Ichi and had a coupe of collaborative shows at Lexington. A couple of shows I have played here in Seoul too! more to come I’m sure. Preparations were also made for this coming year. 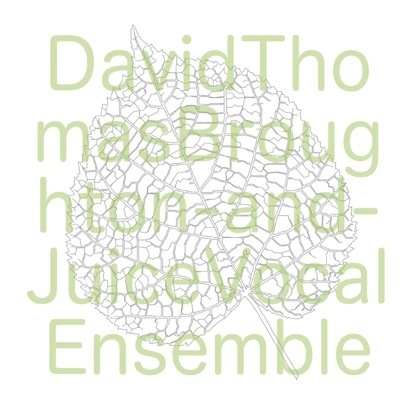 The first being an album with Juice Vocal Ensemble, recorded in Otley by Phil at Limbo. This will give you some sparse guitar and plenty of singing. Im pretty pleased with what we’ve made. Were hoping to make a few live outings in the second half of the year. 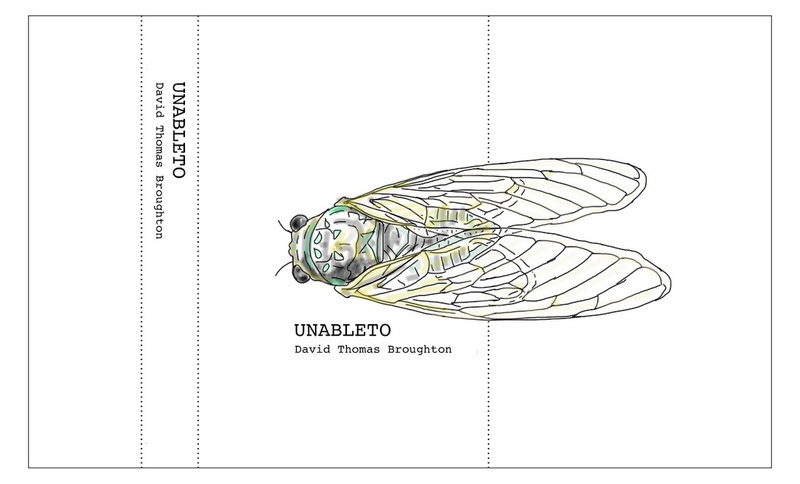 “UnAbleTo, David Thomas Broughton’s first effort since 2011’s Outbreeding,blends his distinctively rich baritone and folk sensibilities with cut up dance beats and harsh noise loops, making an album completely different from anything that’s come before. 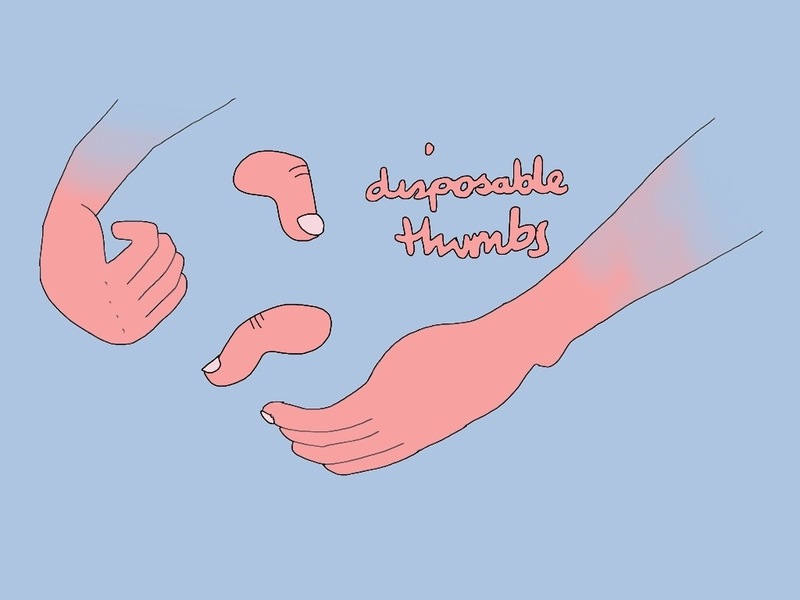 A jumble of electronic samples, feedback mishaps and manipulations, mixed with folk songs. All played into the pin mic of a Macbook, colliding on Ableton Live in haphazard and randomised arrangements. A study in seeing what happens. Loops phase, falling in and falling out, locking into ambient sprawl or cutting into manipulated noise. The lush and strange first single is “Problems,” which is as much folk-pop genius as it is a propaganda piece for a new – as yet, unknown and undefined – type of faith. Here is an update of an old drawing I found in a notebook from three or four years ago. It is about why humans are superior. Further to this there is a Tumblr you should follow – bear with it being slow to start with, over time it’ll reveal some snippets of wisdom from Mr Neil Turpin and Myself, plus our faithful documenter, Michael Ward.